CLEVELAND – The Cleveland Cavaliers have acquired guard Alec Burks and two future second round draft picks from the Utah Jazz in exchange for guard Kyle Korver, Cavaliers General Manager Koby Altman announced on Thursday, November 29. The two draft picks that Cleveland is receiving in the deal are Utah’s own 2020 second round pick and a 2021 second round pick from the Washington Wizards via the Jazz. Korver (6-7, 212) appeared in 124 games (five starts) for Cleveland after being acquired by the Cavaliers on Jan. 7, 2017. He averaged 9.3 points on .468 shooting, including a .454 mark from three-point territory, and 2.3 rebounds in 21.6 minutes per game. Korver also appeared in 40 playoff contests (11 starts) during the 2017 and 2018 Playoffs, averaging 7.2 points while shooting .404 from deep and adding 2.1 rebounds in 20.1 minutes per game. He leaves Cleveland ranked second all-time in three-point percentage (.453) and connected on the fifth-most triples in Cavs playoff history (72). Burks (6-6, 214) has appeared in 17 games for Utah this season, averaging 8.4 points in 15.8 minutes per game. He has scored in double figures on six occasions in 2018-19, including a season-high 22 points in 27 minutes on Nov. 5 versus Toronto. Playing in his ninth NBA season, Burks holds career averages of 9.6 points and 2.9 rebounds in 20.8 minutes per game over 382 career contests (43 starts) with Utah. 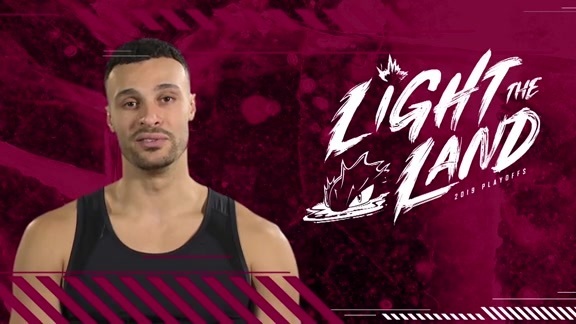 He also competed in the 2012 and 2018 NBA Playoffs for the Jazz, averaging 8.3 points and 2.7 rebounds in 14.1 minutes per game through 13 contests. The 6-6 guard out of Colorado was originally selected by Utah with the 12th overall pick in the 2011 NBA Draft. 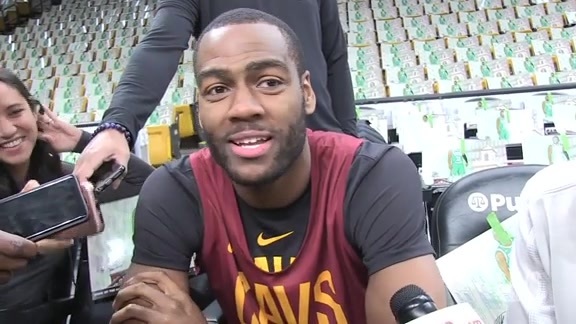 Cavaliers guard Alec Burks spoke with the media prior to Friday's shootaround at TD Garden as the Wine & Gold prep for the Boston Celtics.